Personal Service. Product Expertise. If you are looking for windows, doors, door hardware, or related service, that's what you can expect from the residential team at Valley Glass & Windows. It doesn't matter if it's new construction or replacement work, whole house packages or single units, large or small budgets, our experienced sales people will help you determine the right products for the application in the style you desire. And most importantly, our service does not end with the sale, our dedicated service and delivery crew can provide support as long as you own the product. Specialize in commercial and residential glass work. 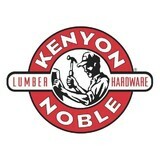 Storefront, heavy glass shower doors/enclosures, windows, mirrors, retrofits, custom glass designs. At Bridger Glass & Windows Inc., you will find a variety of products, from custom glass to Masonite doors to metal and wood windows. We serve all of Bozeman, MT. Our certified technicians will help you pick out, or even design, the best products for your needs and budget, then install the pieces with the utmost care. Montana Sash and Door opens up a world of possibilities for your home! Complement your individual style with the fine craftsmanship of premium-grade custom windows, doors, and hardware. Our unique product lines feature quality! Whether you’re building a new Big Sky home, remodeling an old one or just replacing a few windows that are past their prime, your window dealer in Big Sky, MT will help you pick the right windows for your needs, home style and budget. Windows come in so many sizes and types that expert advice and direction is invaluable in helping you make the best decision. These pros can also help you with custom window designs that complement your space better than something ready-made. Lastly, if you are interested in doors with windows, these experts are also knowledgeable about sliding doors, French doors and other paned portals. Find a window dealer on Houzz. 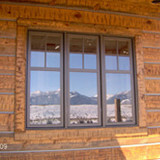 Narrow your search in the Professionals section of the website to Big Sky, MT window dealers. You can also look through Big Sky, MT photos to find examples of windows that you like, then contact the window professional who worked on them.